With the recent Food and Drug Administration warning against giving cough and cold medicine to toddlers and infants, some parents are looking for alternative ways to fight off the sniffles. 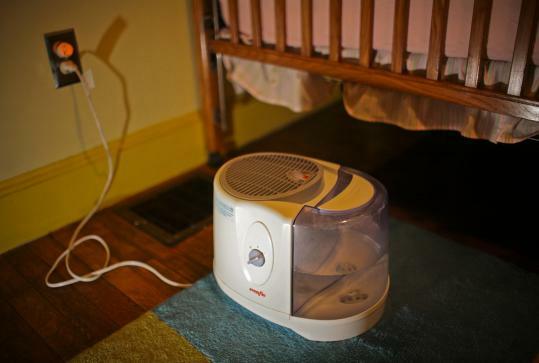 According to Dr. Claire McCarthy, a pediatrician at Children's Hospital in Boston, a parent's arsenal can include a humidifier. "Humidifiers can help a stuffy nose by loosening secretions, making it easier to blow the nose or breathe," McCarthy says. According to the Environmental Protection Agency, indoor humidity ideally should range from 30-50 percent, but that level can drop in the winter, especially with forced hot-air heating systems and less moisture outdoors. This can dry mucus membranes, cause itchy eyes and cracked and scaly skin, and aggravate asthma symptoms. "I tell my patients to get an inexpensive humidifier unit and allow it to run when it starts to get dry, around October or November, and then run it until February or March, when the cool season is over," says pharmacist and author W. Steven Pray of the College of Pharmacy at Southwestern Oklahoma State University. Getting extra humidity into your home's air can be as simple as boiling water or taking a shower. But using a humidifier conveniently maintains humidity at a preset level. The most advanced humidifier, ultrasonic, uses a vibrating metal diaphragm that operates at high frequency to create water droplets. Impeller humidifiers fling water into the air with the help of a rotating disc and diffuser. Evaporative humidifiers use a fan blowing onto a water-filled wick to distribute moisture. And steam humidifiers, also known as vaporizers, use boiling water to release steam. Patty Davis of the US Consumer Protection Safety Commission warns that as with any mechanical device, humidifiers need to be used as the manufacturer instructs, especially when it comes to maintenance and care of units. The commission has issued safety alerts about possible health hazards that can result from using a dirty humidifier - bacteria and fungi can grow in the tanks and be released in the mist, causing lung problems ranging from flu-like symptoms to more serious infections. And if there are minerals in the water, impeller and ultrasonic humidifiers can propel them into the air, causing a white dust that can accumulate on surfaces. When used properly, humidifiers - which range from $20 to $800 - can be helpful, says McCarthy of Children's Hospital. "I often recommend or suggest using a humidifier, especially for babies when they get congested, because cold medicines are not particularly effective or can be even dangerous for that age group." As owners of The Kid's Place day care and parents of two young children, 16-month-old Cassady and 4-year-old Thomas, Jen and Tom Bleakney of Scituate are constantly dealing with colds and sniffles. Recently, when Cassady was sneezing and stuffed up, the Bleakneys used their cold-mist humidifier for several days. It helped alleviate Cassady's symptoms and gave them all a good night's rest. "Or maybe," joked Jen, "we just couldn't hear her because of the humidifier, and it was the placebo effect." n If a humidifier is too small, it won't moisturize the air adequately; if it's too large, it could cause condensation to build up and encourage the growth of mold. Humidifiers are rated for coverage in square feet. n Water reservoir sizes range from 1 liter to 3 gallons and larger. A larger reservoir means you don't need to refill it as often, but it can be heavier to move for filling. A 1 1/2 gallon tank will usually run for 24 hours; while one liter requires refilling about every eight hours. n Ultraviolet lights, ionic silver sticks, or other antimicrobial devices can be options to help prevent airborne pollutants. n Steam-vaporizer or warm-mist humidifiers can be dangerous because they can cause burns, but the boiling water kills bacteria. n If you need a room-size humidifier, tabletop units range from $20 to $150; console models, about the size of a laundry hamper, can cover several rooms for $80 to $250; in-duct, whole house humidifiers can be connected into the air supply and return ducts, ranging from $150 to $500. n If you want to limit your exposure to the minerals in tap water, when using an ultrasonic or impeller humidifier, use distilled water or purchase a unit that uses de-mineralization cartridges, cassettes, or filters. n Drain and clean humidifiers before you store them, and change the water in the tank daily if possible.